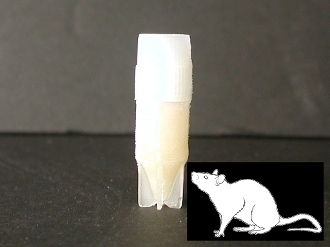 Tissue Procurement: Rat cartilage tissue is harvested from the knee and hip joints of skeletally mature animals. Cryopreservation: Cartilage tissue is digested with a 2-step enzymatic treatment. The isolated chondrocytes are expanded through 2 passages and processed for cryopreservation. The cells are combined with FBS containing 10% DMSO. Cryopreserved cells are shipped with dry ice for overnight delivery. Guaranteed minimum recovery of 1.0E6 cells after 1 week in culture with Chondrocyte Growth Medium. *Optional: Contact us atarticular.info@articular.com to request a list of currently available donors.